Stephen Covey's advice for personal and professional success has withstood the test of time. The 7 Habits Of Highly Effective People is an essential and accessible guide to the fundamental principles required to thrive. Covey constructs his habits to first target personal discipline, the first three habits instilling the ideas of self-determination and the individual ability to shape the future by breaking old habits and presupposed dispositions, being proactive, genuinely imagining desired outcomes, and focusing efforts in the areas that matter towards achieving these outcomes. The first three habits are the building blocks for independence and what Covey calls personal victory. The next three habits focus on strengthening relationships with others, Covey emphasizing that positive collaboration yields results much stronger than the sum of the parts. The keys to interdependence and public victory are seeking win/win solutions, ensuring that the perspective of others is genuinely understood and internalized, and harmonizing team strength to create a much greater whole that any one individual can conjure. The seventh habit is continuous self-improvement through physical, mental, spiritual and emotional nourishment. 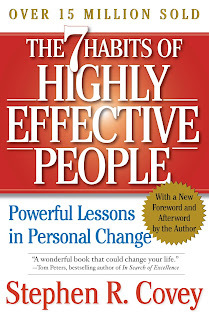 The 7 Habits Of Highly Effective People is written in an earnest yet highly attainable style, Covey mixing theories with plenty of examples, often from his personal life, to demonstrate the habits in action (or the undesirable outcome of ignoring them). His voice is that of the sage and calm uncle, positive, encouraging and wise and yet uncompromising in knowing what works and what does not. As a minor quibble, the book does on a few occasions descend into too many lists within lists, Covey sometimes delving a bit too deep into some areas best left for the individual or to focused seminars. The habits are presented as life-long avenues of learning rather than quick wins or short cuts to success. Indeed, Covey repeatedly makes the distinction between principle-centred change and personality make-overs, the former being dramatically more fundamental, more lasting, and ultimately much more essential for true success. 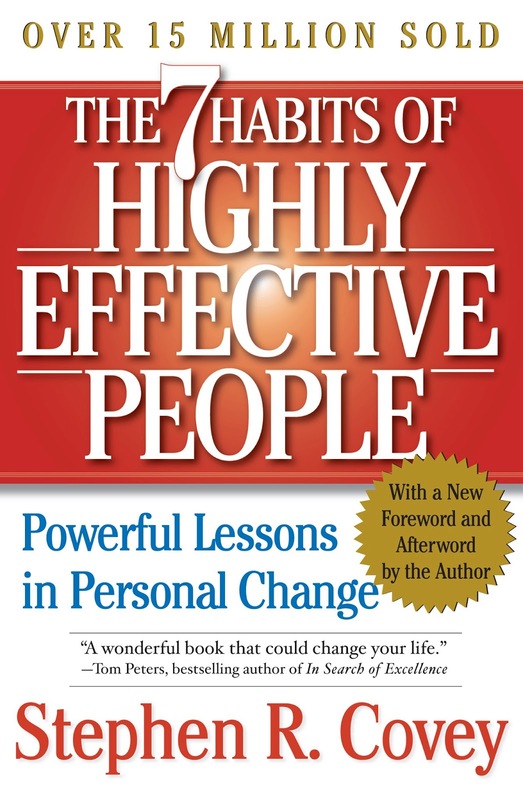 The 7 Habit Of Highly Effective People is a timeless classic, one of the few genuinely fundamental books to understand the essence of personal leadership. Subtitled: Personal Lessons In Personal Change. Published in paperback by Fireside - Simon and Schuster. 318 pages plus Appendices and Index.